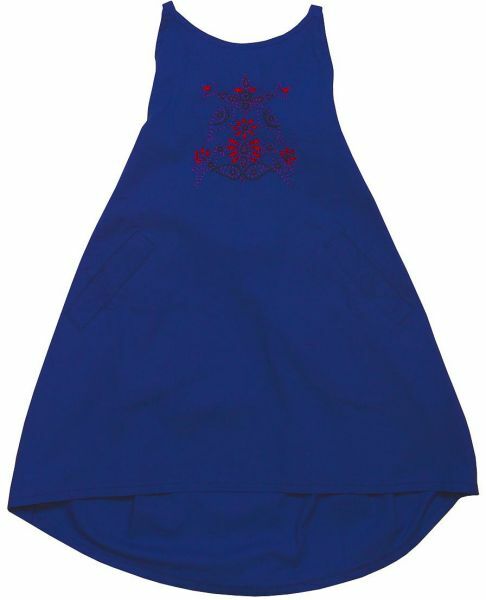 Monica Dress from Chandamama, this stylish royal blue dress is a standout design that is perfect for casual summer occasions and family lunches. The backless piece has been crafted from poplin cotton and features embroidery on chest, welted pockets on front, and tie fastening on the back. Pair with sandals and wear on a summer day.